When it comes to the prevalence of medical errors, those involving missed diagnosis, misdiagnosis and delayed diagnosis are the most common. Information gleaned from the National Practitioner Data Bank (an electronic collection of all medical malpractice settlement payments made since 1986), diagnostic errors are the most common source of payments and often the most costly and dangerous to patients’ health. It’s true that medication errors and on-site surgical errors are very real problems. 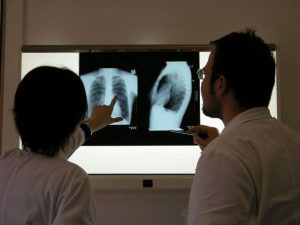 However, in terms of the sheer volume of cases it’s substantial, with an estimated 80,000 to 160,000 patients suffering permanent disabilities from misdiagnosis annually. One such case out of South Carolina recently resulted in a $10 million jury verdict to the husband of a woman who died of cancer after there was a communication error between doctors. This resulted in significant delays in life-saving surgery, The State newspaper reports. The doctor and the practice for which he works initially offered to settle her claim for $250,000 – an offer that was declined. Decedent died five years ago at the age of 70. Two years before that, her primary care doctor and urological doctor were tracking a noncancerous growth on one of her kidneys. The urologist planned a surgery to remove all or part of the kidney. However, he put off the surgery. Her primary care doctor noted the following year that she may require surgery to deal with the growth, and asked that she return in six months. However, six months later, she started of complaining of pain in her lower back. Her primary care doctor ordered a scan, which showed the growth had increased. The radiologist recommended a follow up exam to eliminate the possibility that the growth was cancerous, but that recommendation wasn’t communicated to the urologist. Another scan was ordered in June 2012, and the primary care doctor noted the mass had “absolutely” continued to grow. The radiologist reported the growth was “absolutely” cancer. However, it had advanced to other parts of her body by then. She went to a cancer specialist, but there was nothing to be done at that point. She died within four months. Medical malpractice attorneys representing her estate argue that if she had gotten surgical intervention a year earlier, it more than likely would have prevented her cancer death. Not all cases of missed or delayed diagnosis will be viable Tampa medical malpractice claims. One must show the doctor or other health care provider failed to follow the applicable standard of care for that specialty and also that this either directly caused patient injury or resulted in an injurious delay of important care. The National Practitioner Data Bank reports the most common type of diagnostic error is missed diagnosis, as opposed to those that were late or wrong. Part of this is because there are many opportunities that doctors and other specialists have wherein there is adequate information to identify the correct answer, but it’s missed. Health care organizations have recommended investing in better diagnostic tests to improve accuracy, particularly for patients who suffer from symptoms that are largely generalized. Another contributory factor was lack of electronic health records at some facilities, which made it more difficult to follow up and track abnormal test results. Contact the Tampa medical malpractice attorneys at Halberg & Fogg PLLC., Attorneys at Law, by calling toll-free at 1-877-425-2374. Serving West Palm Beach, Miami, Tampa, Orlando and Fort Myers/ Naples. There is no fee unless you win.